One of three. 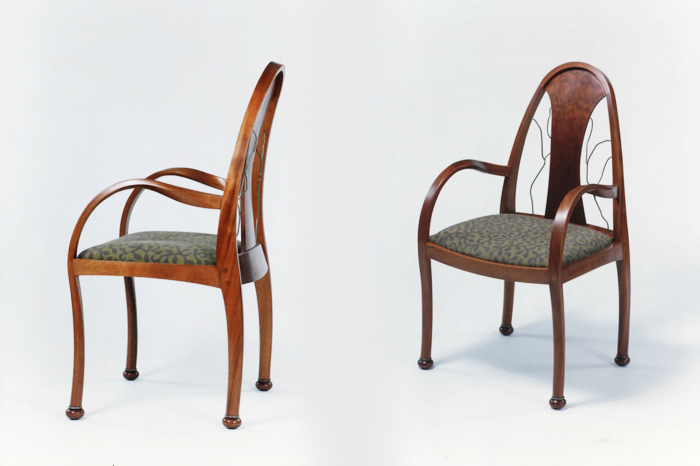 This chair was part of an ensemble of commissioned furniture that included a sideboard and a dining table. 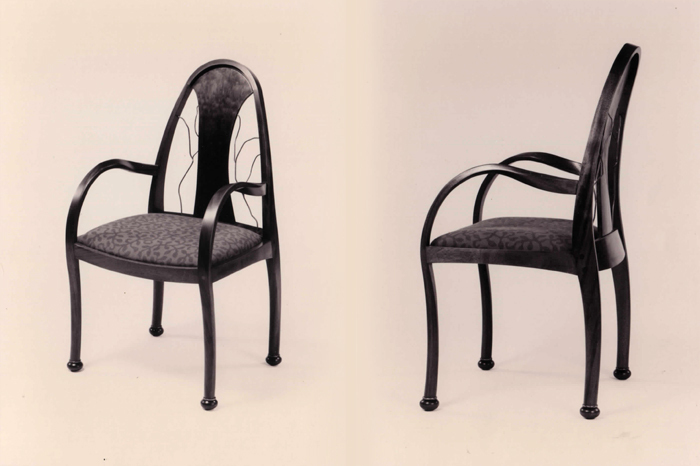 To accomplish the shapes, the frame was constructed using tapered, laminations, and bending techniques.